In an era where religions violently dominate society and the human mind, the (mis)interpretation of the holy scripts is like an endless table tennis game, where the role of the table has been taken by the uneducated and the insecure. Darkness is everywhere and the only light is the one of a fragile surface. 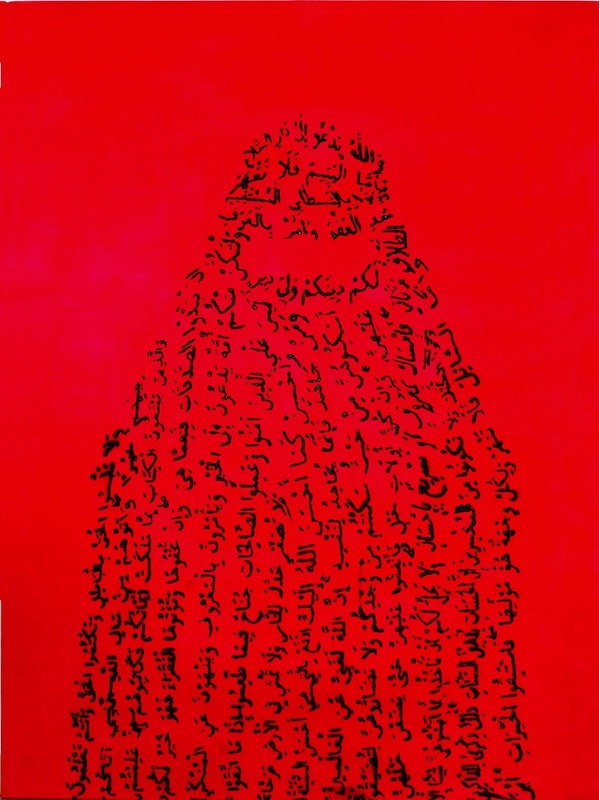 God Bless is a series of four paintings, based on the writings of the two most influential books of the human history, the Quran and the Bible (Old and New Testament). God Bless I includes writings of the Quran in Arabic. 3/104 – And let there be [arising] from you a nation inviting to [all that is] good, enjoining what is right and forbidding what is wrong, and those will be the successful.